Your child can practice early spelling skills by using raisins to make short words while also having a healthy snack of ants on a log. Together with your child, make a book about manners to help your child practice writing skills and learn about concepts like please and thank you. The new puppy needs your child's reading skills! Practice matching written words to verbal definitions in this Woofster puppy game. 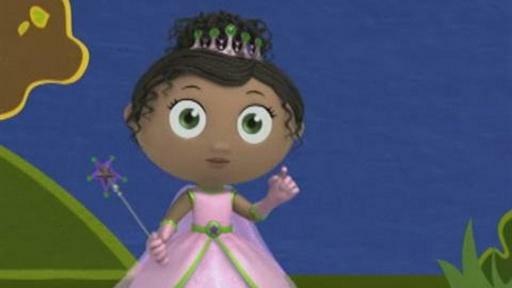 Princess Presto uses her magic spelling wand to spell the word "pop" to pop balloons and save the dancing princesses! Your child will learn about the "p" and "o" sounds. Your child can learn about food groups and sorting foods in this game where Woofster needs help finding ingredients for a meal for the Super Readers!